We set you free from the worries of downtime, security breaches and data loss. Through proactive monitoring and preventative maintenance, we take the hassle out of server management. Server security and performance tuning. Server setup and data restoration. Mail server installation and administration. High availability service with uptime gaurantee. "If you have had more than three incidents in a two-month period, and your problems are getting worse: Don’t wait. Go ahead and start exploring your other options, and make sure that Nexus Soft Ltd is at the top of your list." Being proactive? That's smart. Our server checkup services will keep things running great. Is your slow site killing your business? Let us help speed it up. Reactive or proactive, we have security packages to fix security issues or prevent them. Don't risk downtime or data loss with server migrations. Let us help. Let our team get to the bottom of that server problem. Our company is 11 years old - for IT industry it is a mature age indeed. During these years our team has gained plenty of unique experience in remote Linux, FreeBSD, AIX and Windows system administration, so our experts are unlikely to be confused by some complex or non-trivial problem. They really are able to ensure stable and reliable operation of any web project - from a single server to complex cluster systems. 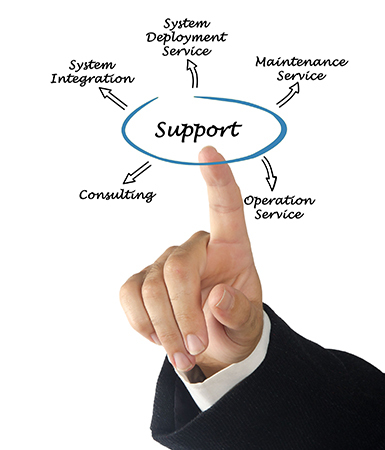 For more information about our Server Management services, please contact to us.